27th January, 2017: Known for conducting unique and entertaining employee engagement programs, Vigor Events organized a team building day for 60 employees of Ahmadiah Contracting & Trading Co which was an enriching and productive experience for all the participants. 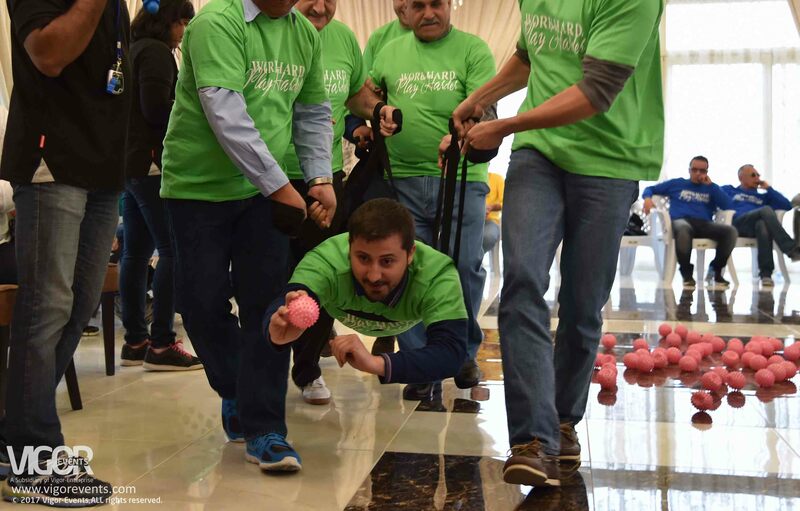 The Event, which was held at the scenically beautiful Abdali Farms, had all the employees divided in teams to compete in a series of energizing, challenging and entertaining activities. The day was designed to highlight the importance of team synergy, communication and collaboration. Each challenge was team based, and required input from all team members. By the end of the event, the employees got to socialize with one other outside the office, further enhancing their collaborative skills. The day was enjoyed and very well received by the participants who activity contributed during the debriefing sessions, conducted after each activity, where they discussed the successes and learnings of working as a team. Vigor Events offers a wide range of team building activities and events to increase the morale and productivity of any work force. Our experts are well-trained to develop unique team-based events and solutions for our corporate clients ranging from fun activities to targeted and tactical initiatives that merge into a broader business plan.